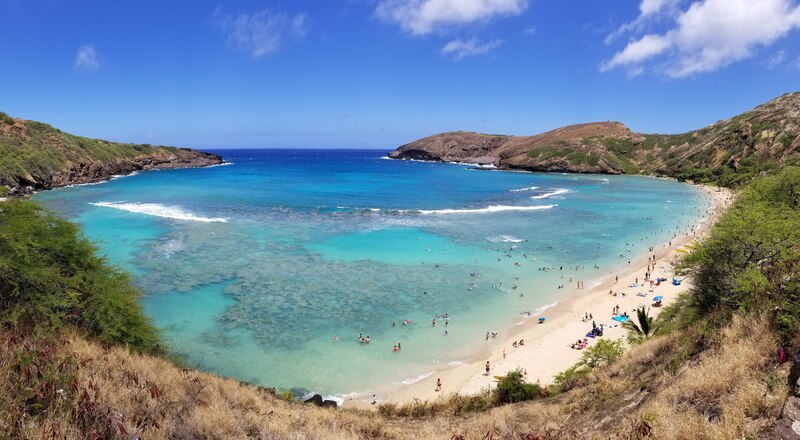 We recently took a trip to Hawaii on the Island of Oahu to visit friends and enjoy the sun and sand. Being there in the height of summer is really quite special because you can enjoy the cool ocean and all of the abundant tropical fruit. Coming from Seattle, the reality of the HEAT and HUMIDITY threw us for a loop, we honestly could have had every single meal be frozen. Luckily we stumbled across our fair share of chilled frozen treats including tropical fruit smoothies, acai bowls, not-so-healthy vegan ice creams, freshly pressed sugar cane juice, passion fruit lemonade, the famous Dole whip and some killer banana ice cream. Two of these treats in particular really wrapped up the essence of the Hawaiian flavors that we experienced on our trip. On our way to the North shore of the island we stopped and the Dole Plantation, where we took the train tour through the vast pineapple orchards and learned about the history and harvesting of delicious Hawaiian pineapples. At the cafe you can get a small cup to an entire pineapple full of the acclaimed Dole Whip. I had heard nothing but great things about this sweet soft serve ice cream and was delighted to find out that it was vegan. I saw the gigantic soft serve machines being filled with large buckets of freshly pressed pineapple juice and cartons of sweetened coconut milk. It was so refreshing and so delicious, I savored every single lick. Knowing the ingredients I wanted to recreate this at home, so I got some pineapple juice and coconut milk and froze it, then blended it in my high speed blender. While it was tasty, it was icy and melted very quickly. When you have a soft serve machine, it has the capability of freezing the juice crystals evenly while churning the mixture, which creates a creamy and fluffy finished product. Not having a soft-serve machine in my kitchen lead me to another method. Instead of using juice, I used super ripe frozen pineapple chunks that were chopped into smaller pieces that could easily be blended. I used some coconut milk, but it was still not reaching the creamy mouthfeel that I remember having on the island. Then I had a thought of using good quality coconut yogurt. This ultra thick and tangy yogurt blended with the sweet ripe pineapple created a luxurious mouthfeel with a bit of a tang from the yogurt culture, which quite honestly I prefer the taste of. 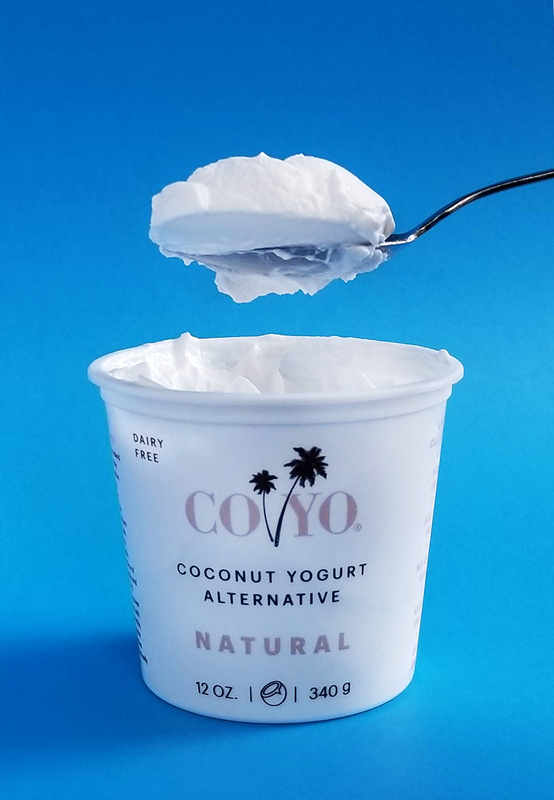 I tested out a few coconut yogurts and my absolute favorite was the COYO brand. Their yogurts have no preservatives, minimal ingredients, and are the highest quality. It was thick, tangy and not overly sweet, which was why it made such great soft serve. My version of the traditional Dole Whip, eats more like a Pineapple fro-yo with the added bonus of probiotics. On a hot summer’s day this frozen treat will get you in that island spirit! Our last day on the island we were looking for a cool relief after a very hot hike up Diamond Head. We found a place on the side of the road called Banan, which actually specializes in banana soft-serve! We were extremely surprised that it was all whole foods, with no added sugars to their bases. I got a guava bowl while Liam got a chocolate macadamia nut. Both were delicious but the chocolate flavor was another level of divine. 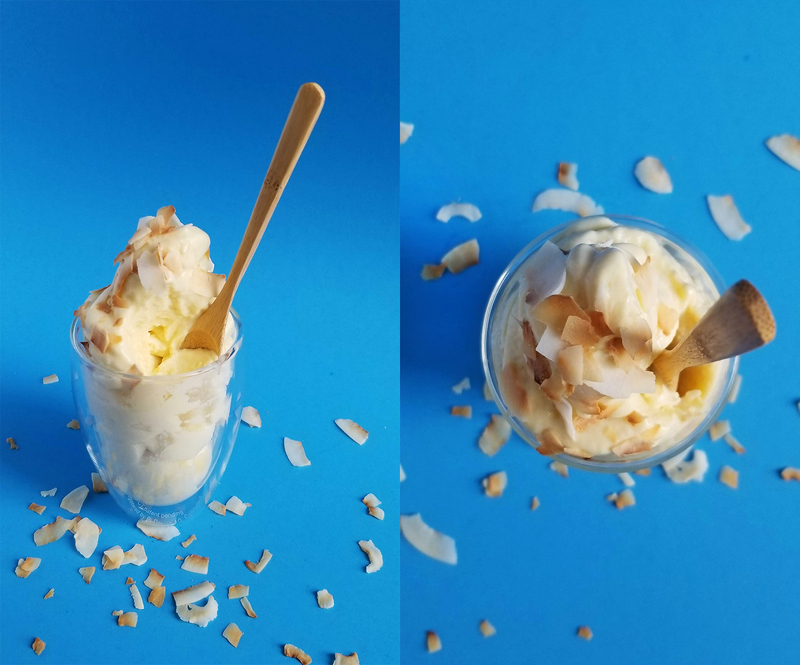 Macadamia nuts are a luscious, buttery nut, local to the islands that brought a creaminess to this soft-serve like no other. Mixed with ripe banana and chocolate, it was like eating a healthy Hawaiian Reese’s cup. Because the ingredients are so simple I knew I could try to recreate this at home. Although finding macadamia nuts on the mainland is a little harder than I thought! 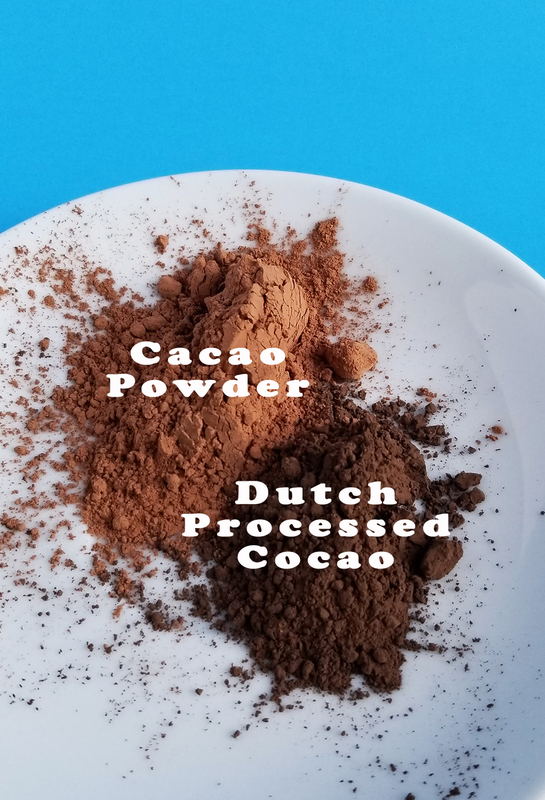 I used a mixture of cacao powder and dutch processed cocoa to develop a deep rich chocolate flavor, and a pinch of maple syrup to counter the bitter cacao. This frozen treat is one of our new favorites, it’s rich and buttery and brings you back to the macadamia grove. If you can’t find macadamia nuts on the mainland you can just as easily use peanut or almond butter. All flavors are delicious! 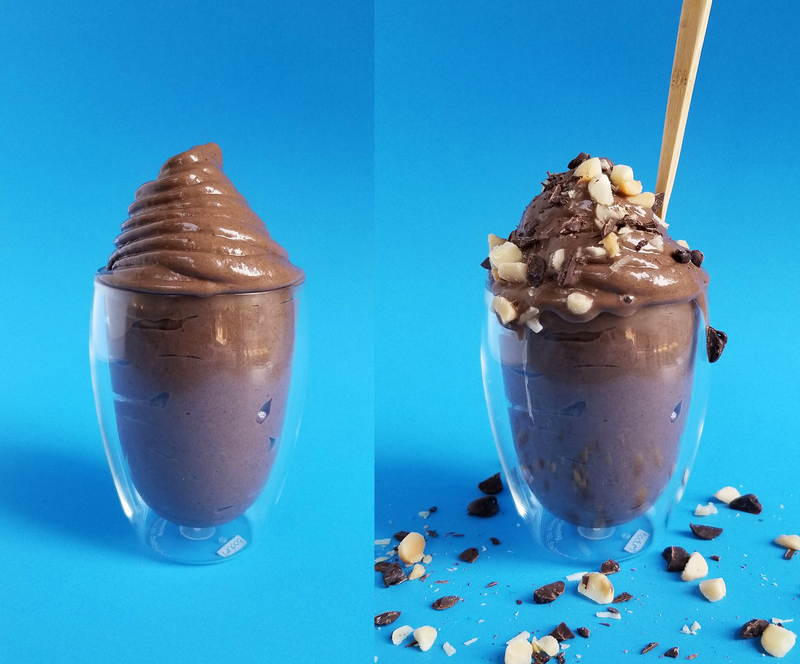 Ultra creamy, and healthy chocolate soft-serve will kick any sweet tooth cravings. Packed with bananas, cacao, and nut butter it will soon become a household favorite. Chop frozen bananas into smaller pieces so the blades in the blender (or food processor) don't have to work as hard. Add bananas, cacao powders, maple syrup, and mac nut butter into a high speed blender, and blend until smooth. You will have to stop to scrape the sides down a few times to get the ingredients well incorporated. Continue this process until creamy. 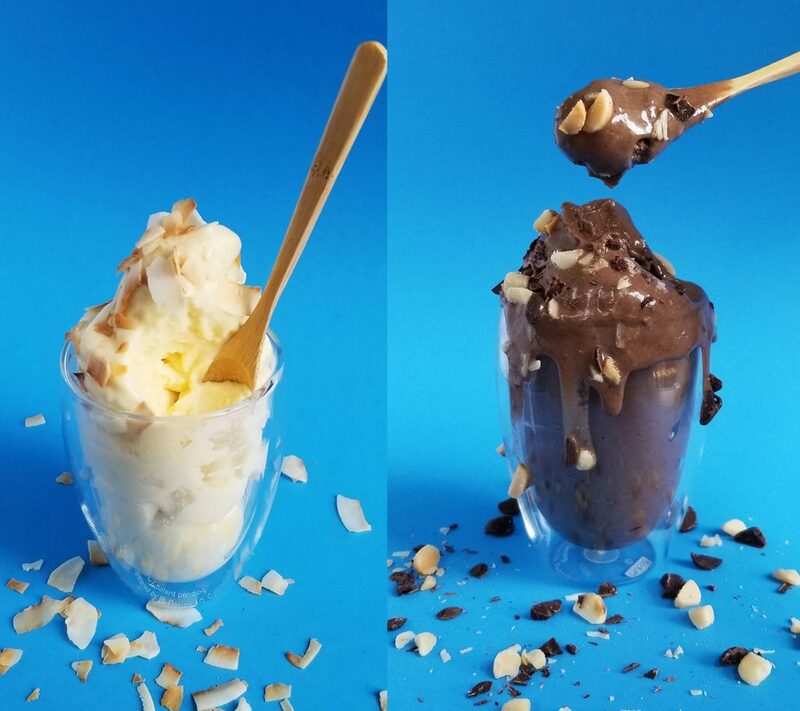 Serve in your favorite dessert glass and eat straight or top with more chocolate, nuts, or chocolate sauce! I understand that macadamia nuts are one of the most expensive nuts ever. So I completely understand if you do not want to make the investment to buy the nuts or their butter. 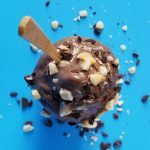 This recipe was made to mimic the beautiful taste of Hawaiian Macadamia nuts, but this can just as easily be made with Peanut Butter, Almond Butter, etc. My version of the famous Hawaiian Dole Whip. 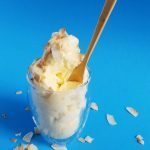 Made with cultured coconut yogurt for a tangy-sweetness that is a great compliment to this creamy frozen treat. 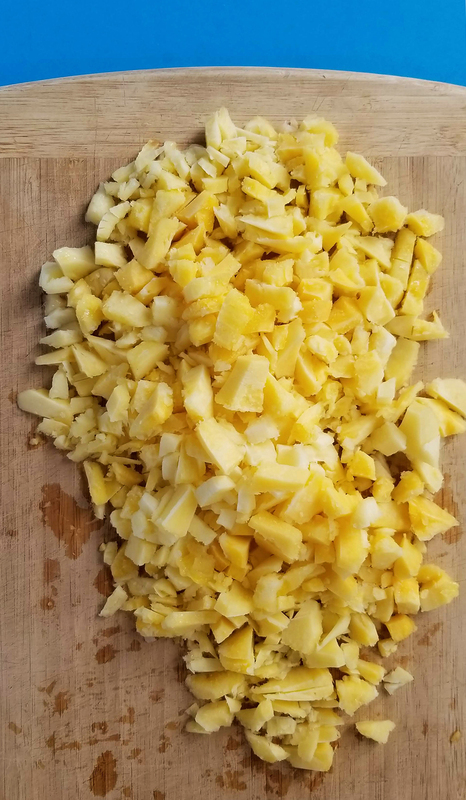 Take the pineapple chunks onto a cutting board and chop them into smaller pieces. This will help with the blending process, if you don't have a high speed blender. Add the chopped frozen pineapple and the coconut yogurt to a high speed blender or food processor. Blend until creamy. You will need to stop and scrape down the sides of the container a few times before it begins to get creamy. Serve into your containers. If you want to create a "soft serve look" just place the fro-yo into a plastic baggie with a large pastry tip and "swirl" it into your glass.